The area's monuments and museums are just a few of the reasons to vacation in Bad Wildbad. Renowned for its theme park, spas and parks, this city welcomes all visitors. Whether you're planning a family holiday, romantic stay or friends trip, vacation rentals offer features like full kitchens and laundry facilities for a more convenient stay. The nearest airport is in Karlsruhe (FKB-Karlsruhe - Baden-Baden), located 20.4 mi (32.8 km) from the city center. If you're unable to find a flight that fits your schedule, you can also fly into Stuttgart (STR), which is 30.3 mi (48.8 km) away. It's easy to get around Bad Wildbad by catching a ride on the metro at Bad Wildbad Kurpark S-Bahn, Bad Wildbad Uhlandplatz S-Bahn or Bad Wildbad S-Bahn. Where to stay around Bad Wildbad? 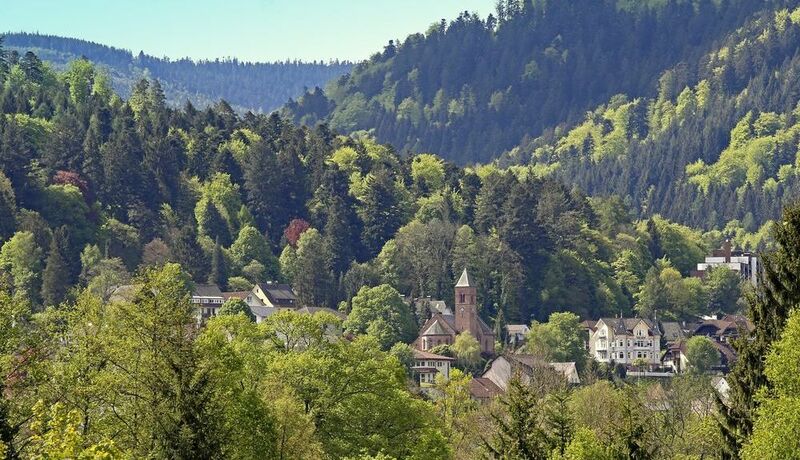 Our 2019 accommodation listings offer a large selection of 277 holiday lettings near Bad Wildbad. From 250 Condos/Apartments to 18 Houses, find unique self catering accommodation for you to enjoy a memorable holiday or a weekend with your family and friends. The best place to stay near Bad Wildbad is on HomeAway. What are the most popular points of interest and landmarks to stay near when travelling to Bad Wildbad? But there are many other points of interest around Bad Wildbad listed on HomeAway where you can find your place to stay. Please use our search bar to access the selection of holiday rentals available near the point of interest of your choice. Can I rent Condos/Apartments in Bad Wildbad? Can I find a holiday accommodation with pool in Bad Wildbad? Yes, you can select your preferred holiday accommodation with pool among our 14 holiday homes with pool available in Bad Wildbad. Please use our search bar to access the selection of holiday rentals available.